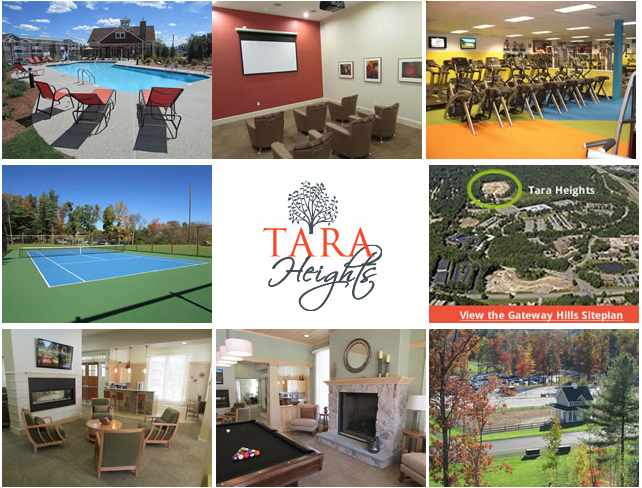 Life at Tara Heights is about so much more than its beautiful apartment homes, lush landscaping and thoughtful features — it’s about real community. Whether you’re in the mood to socialize with friends in the clubhouse, read a book by the pool, or join in a soccer game or tennis match, Tara Heights gives you every option. Every day is different, and you can choose how you’d like to enjoy each one. Challenge yourself at a Power Pacing class at the health club or exercise your green thumb at the community garden center. Tara Heights has been thoughtfully designed to draw the Gateway Hills community together, and we’d like to invite you to be part of it. If you have any leasing questions, please contact Luke Page, Residential Property Manager (866) 295-6244 | luke.page@taraheights.com.